If it’s not a UFO, what is it? This is a great article about some of the things most often identified as a UFO. While I’m pretty-much a UFO believer, it’s also obvious that many things mistaken for them are not. We saw an Iridium flare last night at a star party as well as three meteor shower fireballs. Clearly they were NOT a UFO! Most Unidentified Flying Objects aren’t unidentified at all. Here’s a list of natural and human-made objects in the sky that people frequently mistake for UFOs. Source: If it’s not a UFO, what is it? This doesn’t happen very often so be sure not to miss it while it lasts! Three of the 5 planets are easy to see. Two aren’t so easy. Charts and info here that can help you see all 5 planets together in late July and early August, 2016. 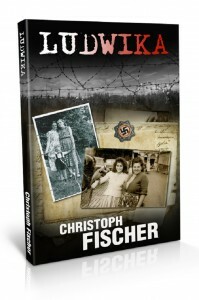 If you’re looking for an intense historical read, check out “Ludwika”! I’m giving away UK audible codes for anyone interested in reviewing the book. Thanks to Tessa Peterson who did a marvellous job at telling the story. 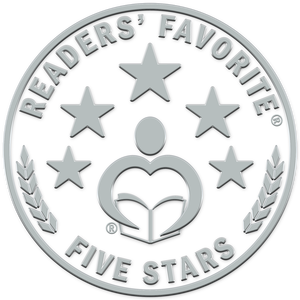 After receiving the Reader’s Favorite 5 Star Seal for it I am truly over the moon. The Perseid meteor shower next month is supposed to be a good one! More information below. Outburst – perhaps 200 meteors an hour – predicted for 2016 Perseid meteor shower. Peak night August 11-12, but watch on the nights leading up to the peak, too. This will be extremely cool! This could be your chance in a lifetime to see a total solar eclipse without having to travel to some farawy place. First total solar eclipse visible from the U.S. since 1991 (seen only from part of Hawaii), and first visible from contiguous U.S. since 1979. Start planning now! This is so true. 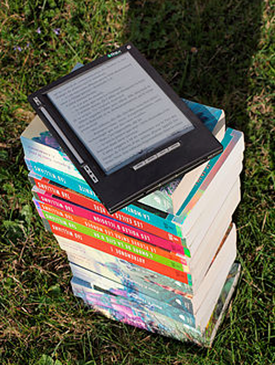 You can carry around an entire library on your Kindle. But I still like “real” books, especially nonfiction where I dog-ear pages, underline, highlight, and write notes in the margin. Too tedious to do that electronically. Please Don’t Make Me Read a “Real” Book, byT.D. Shields. Don’t misunderstand me, I love books. I mean, I REALLY love books. I read at least a few books a week, and on a really good week, I might read a dozen or more. I love to fall into a new story and lose myself in the author’s world. Some books are so magical that you can barely pause for sleep or work… some books are less transporting, but still a fun break from everyday life. Excellent tips if your children are on the internet. And whose aren’t these days? 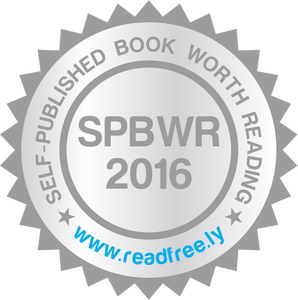 Quite frankly, I never dreamed that I would eventually give this book a five-star rating. I started reading it almost two years ago, 21 months, to be exact. It took me that long for a couple reasons, mainly because at first I couldn’t stand the protagonist, Susan Wade, whom I found horrifically irritating. I thought she was a dysfunctional, self-centered, obsessive, hot mess. Her warped views of the world made me want to slap her upside the head. She hated her roots, the small town where she’d grown up, and was willing to do anything to get ahead in the world. Her priorities were horrible. The plot moved very slowly at first, also, which tried my patience as well. I would set it aside, read something else (or two or three), yet inevitably pick it up again between other reads. Because it was so exceptionally well written. The fact the author had developed a character so completely that she got on my last nerve made me feel I owed it to her to keep reading, to see where it was going. Her prose was fantastic, at times poetic, the imagery beautifully drawn. It was a pleasure to read, pure ambrosia, even if Susan was messed up and the plot crawling at glacial speed. At this point I need to mention that, unlike other reviewers, I try to maintain a sense of objectivity. Not liking a story or its characters is not enough for me to give a book a bad rating if the story is well-crafted. I also care about grammar, typos, and formatting, which I find distracting. Editing, in all its varieties, is important to me. If a story is clever and otherwise interesting, I might forgive some of those things, but in general, I expect a professional product when I buy a book. If a book is loaded with such annoyances I’m likely to never finish it because it’s such a chore to read. There were very few such flaws in this story, certainly not enough to put me off. Rather, I was a bit surprised that they slipped past, based on the quality otherwise. One that really had me scratching my head was how one beautiful sunset painted the eastern sky. Huh? Possible, but not likely. Actually, I wrote a blog about that kind of stuff you can find here. As I plodded through, page by page, gradually things started to make sense. I began to appreciate the fact that the slow pace was allowing me to get drawn deeply into the story and its characters. The sense of place was amazing. I love it when a book takes you someplace new; by the time I finished, I felt as if I’d spent several months in coastal North Carolina. When it started to come out why the protagonist was the way she was, I began to be more sympathetic. Maybe Susan put me off at first because there were things about her that reminded me of myself. As her motives and life experiences became more clear, it was easier to care about her, then eventually start cheering her on. Some people are slow to come around such that it takes numerous hard knocks before they learn. As a professional astrologer I’m a student of human nature and tend to try and place a particular sun sign on characters as I watch them unfold. Fixed signs (Taurus, Scorpio, Leo, Aquarius) rarely change, or it takes great pain and suffering from life’s lessons to do so. The implications of when her birthday was in the book made me think she was a Scorpio. When it said near the end that Pete’s birthday was March 15, making him a Pisces, that made sense, too. It made me laugh, since on my website I have a compatibility section where I say this love match concerns me a lot since I have often seen Piscean men injured horribly by Scorpio women, though there is often a strong attraction between them, both being emotionally driven water signs. Ditto, for this couple. BTW, astrology works amazingly well for fiction. Just ask Elle Klass. From about halfway in, the story started to move, and by the time I was 75% through, it was hard to put down. It was touching and I really connected with the characters. The corporate gymnastics and dog-eat-dog environment were well-characterized as well. Having spent over 20 years in the world of NASA contracting, I could definitely relate to some of the games people play. This was an outstanding story that was beautifully written. 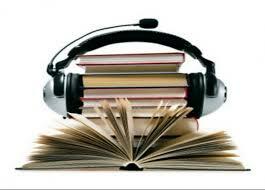 It has numerous life lessons within that astute readers can learn vicariously. It takes a while to get moving, but all that background is essential and what draws you in until you’re hopelessly hooked. I have two rather minor criticisms. One is the title. Those who aren’t familiar with the tale of the donkey and the carrot may not get it, which could turn away potential readers who would love the story. The new cover helped tremendously; I’ve had the book long enough it has the old cover, which featured–a carrot. The other criticism is that it wrapped up rather quickly and was a bit confusing at the end. I don’t want to get into spoiler territory, so won’t say more, but I’ll just say I had to go back and reread a few parts to figure out who was doing what. Considering how slowly and patiently the story unfolded, it could have wound down at a less frantic pace so as not to lose track of what was going on. That said, it was still a great read. If you love well-developed characters, outstanding imagery, and a rather common situation regarding the balance of career with relationships, I can’t recommend it highly enough. P.S. As I got ready to post this review I discovered that there is now a prequel to “The Carrot” called “The Interview.” So you might want to start with that. You can find it here.